It has been quite a journey over the past several years trying to educate many members of the Legislature and the Governor of Maine as it relates to the benefits of Medication Assisted Treatment for Opioid Dependency. I would like to say that they have been as receptive as the Police, the Portland Chamber of Commerce, and many citizens - but unfortunately, I can not say that! But I must commend Dr. Mary Dowd on a superlative piece, and what makes it so powerful is it could just as easily be titled, "Patients Do Matter"!!! Listen to the Voices of Addiction. We might be worn down, but when it comes to advocating for patients, never worn out. Hopefully some of our politicians will want to read my testimony to the Maine Health & Human Services Committee eleven months ago. Maybe they might consider reading my book because Addiction Is On Trial in Maine. Posted in Author Blog. Tags: Addiction Advocacy, Heroin Addiction, Heroin Epidemic, Patients Matter, Treatment on December 11, 2016 by skassels. Welcome back to my blog. I appreciate your continued interest and I look forward to your comments. I have been quite busy lately and as a result I have not posted anything new for a month. One of the projects I have been involved with recently is related to a legislative meeting in Augusta, Maine. I had the privilege to give testimony to the Maine Health and Human Services Committee this week pertaining to a bill sponsored by Senator David Woodsome (R-York). I was extremely encouraged by the wide support the bill received. As you may know, Governor LePage (R), has emphasized increasing funds for law enforcement but not for treatment. We cannot arrest our way out of the heroin epidemic! Here is the bill and Senator Woodsome’s comments, followed by my testimony. My testimony was coordinated with others, as we each had limited time to present. Collectively, however, we discussed all the important aspects. Senator Brakey, Representative Gattine, and members of the Health and Human Services Committees, my name is Steven Kassels. I have been Board Certified in Addiction Medicine and Emergency Medicine. I have practiced medicine for approximately forty years and I currently serve as the Medical Director of Community Substance Abuse Centers which provides Methadone and Suboxone as part of comprehensive treatment programs for Opioid Use Disorders. I am here today to speak in support of LD 1473. I sincerely appreciate the opportunity to discuss the opioid epidemic with you. Unfortunately, the disease of addiction continues to be a misunderstood illness and carries with it a significant amount of stigma, which is especially true of opiate dependency/addiction. When I give lectures and I ask folks to raise their hands if they know a heroin addict, very few hands are raised. But how can that be when we all acknowledge that we are in the midst of a heroin/opioid epidemic? I have treated college professors, school teachers, IRS agents, nurses, carpenters, electricians, politicians, homeless people and possibly your neighbors. We all know heroin/opioid addicts – we just may not know who they are. The stigma of the disease forces individuals to hide and to not seek treatment. 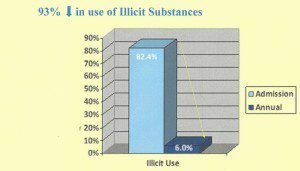 This is a significant contributing factor why only one in seven people with the disease of addiction are in treatment. 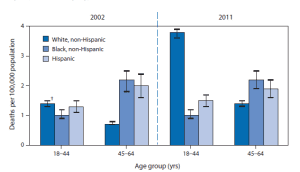 Today the highest increase of heroin users is comprised of white suburban men and women in their twenties and thirties. But why should this surprise us. In the early 1900’s the average opioid user was a middle aged, middle class, housewife and mother who typically was addicted to the opioid drug Laudanum. It is essential that we stop characterizing addictions into two categories: “Good” Addictions and “Bad” Addictions. Addiction is addiction, and whether we have dependency to alcohol or to heroin, the mechanism of action in the brain is similar. Both stimulate the reward center by eliciting their effects on the same area of the brain. In fact, the medication Naltrexone (“Vivitrol”; “Trexan”) decreases cravings for alcohol and also blocks the effects of heroin. Alcohol, heroin and cocaine all exhibit their effects by stimulating the pleasure center in the brain, the same center that gets stimulated when we eat a nice meal, go for a jog, watch a good movie or enjoy intimacy. With all of these activities our internal opioids, called endorphins, get secreted and stimulate the brain’s pleasure center. In fact, during child birth, increased secretion of endorphins are thought to help to diminish pain. When a person uses opioids for a long period of time, there are changes in both the production of endorphins and its effect on the brain’s receptors. There are documented structural and functional changes that take place in the brain. The question of whether these changes are reversible is dependent on the severity of the disease, no different than diabetes. With improved diet, weight loss and exercise, the pancreas of some patients will be able to produce sufficient amounts of insulin to no longer need insulin injections, while others will need insulin replacement therapy for life. Insulin replacement therapy in diabetes or steroid replacement therapy in the disease of the adrenal gland called Addison’s Disease is no different than endorphine replacement therapy. 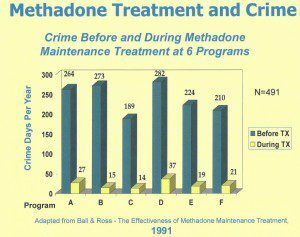 Treating patients with methadone or buprenorphine (“Suboxone”) is not replacing one drug with another; it is the use of a medication to replace what the body can no longer produce or use effectively. The changes in the brain in opioid addiction can be profound and can lead to a vicious cycle of severe withdrawal symptoms leading to drug seeking behavior and drug use to alleviate the symptoms, only to have the withdrawal symptoms return, leading to repetitive behavior. 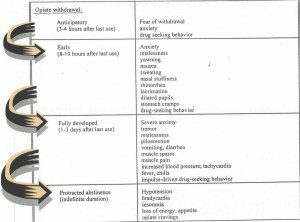 In the case of heroin, withdrawal symptoms start to return within 4-8 hours. Opioid replacement medications interrupt this vicious cycle and decrease and eventually eliminate the cravings and drug seeking behavior. However, depending on the severity of the changes in the brain, some patients may need medication for prolonged periods. However, as in all chronic illnesses, success rates are not determined by “curing” the patient; but by limiting relapse rates and allowing the patient to resume a normal life. 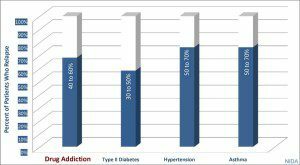 Furthermore, the relapse rates for a patient with addiction is not significantly different than those with other chronic illnesses. We do not arbitrarily limit type or duration of treatment for other chronic illnesses, so why should we for addiction? The key to success in treating opioid addiction is to eliminate withdrawal symptoms so the person can focus on a life free of drug seeking behavior, reestablish relationships and contribute to society. Maine statistics support this approach as do studies as far back as 1991. Opioid replacement medications eliminate withdrawal symptoms and “normalize” brain activity. Methadone and Suboxone in therapeutic doses do not make addicts “high” and in fact block the effects of heroin and other opioids. But the essential key to success is regular counseling to ensure the patient gets the psychological and social support to integrate back into society in a productive manner. Replacement medication alone is not comprehensive treatment; counseling is essential and reestablishing the reimbursement rate to prior levels is necessary to be able to provide the necessary counseling to the patients. 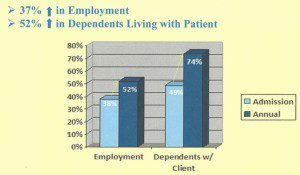 We must remember, that many of us live with chronic illnesses, but with appropriate treatment and support, there is a much greater likelihood of living a productive life. As a physician, I consider that to be success! Posted in Author Blog. 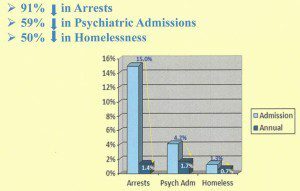 Tags: Addiction Advocacy, Addiction Treatment, Dr. Steven Kassels, Heroin Addiction, Legislative, Legistlation, the disease of addiction, Treatment on January 29, 2016 by skassels. As another holiday season is upon us, I am touched by the stories that highlight the fact that together we are making a difference and that our message is becoming mainstream. While we should celebrate the progress made, we must remain relentless in our commitment to convert the naysayers. But let us all remember, that progress is made by educating and not by demeaning or ridiculing those who have a different opinion about Substance Use Disorders. A special thank you to all the politicians, from both Red and Blue states, who are speaking out that Drug Addiction is a Disease, Not a Crime. And an especially big thank you to patients afflicted with the disease of addiction for having the courage to speak out. I hope you enjoy the reflective article about Rediscovering Christmas and the heart felt story of how the Opioid Epidemic Grips a Community; but there is hope! And let's not forget to thank the many Law Enforcement Leaders who understand the need to destigmatize the disease of addiction. Here are two examples of Police Chiefs who are helping to save lives through unique programs. Thank you to Chief Leonard Campanello of Gloucester, MA for establishing the The Angel Program and Chief Robbie Moulton of Scarborough, ME for developing the program called Operation Hope. We are truly making progress and please feel free to contact me to assist in any way. To all those afflicted with the disease of addiction and to friends and family members, please do know that you are not alone and there is progress being made. Most importantly, please do reach out. Many of us are waiting to help. Posted in Author Blog. Tags: Addiction Advocacy, Addiction Advocate, Holiday Sobriety, the disease of addiction, Treatment on December 24, 2015 by skassels. Welcome back to my Blog Site and I apologize for deviating from my planned sequential discussions of the “Ten Reasons for the Heroin Epidemic” but I really do have good reasons. I felt obligated to respond to the readers inquiring why an Emergency Medicine & Addiction Doctor became a novelist (“Why I Wrote a Mystery Thriller” – May 6, 2015) and the need to acknowledge my appreciation to my readers (“Heartfelt Thanks for 100 Reviews” - May 20, 2015). And yes, thrown in the mix was my exuberance to report on my trip to the American Society of Addiction Medicine meeting in Austin, TX to make sure folks got a look at the wonderful work being done by advocates such as Patrick Kennedy & The Kennedy Foundation, Gary Mendell and Shatterproof, and so many others (“ASAM Recap: Great People Doing Important Work” - April 29, 2015). In addition, in early May I was invited to discuss my book and to give a presentation to thirty-five medical school representatives gathering at a regional meeting in North Carolina on behalf of the Coalition for Physician Education in Substance Use Disorders (“COPE”). What an incredible group of physicians dedicated to the advancement of knowledge of addictive diseases. But more on this another day – let’s get back to the “Ten Reasons for the Heroin Epidemic”. Today, I will discuss the first reason, injudicious prescribing practices by physicians. When I was a medical student some decades ago, we were taught to very carefully prescribe opiates, such as Morphine, Demerol, Percocet and other pain medications typically referred to as “narcotics”. Well, it came to pass that we as physicians were under-medicating patients for relief of pain. In fact, it has been shown that for severe pain, if the patient waits for the pain to recur to high levels before taking their next dose of medication that in fact it may take more medication to again relieve the pain. Then physicians were educated to more appropriately prescribe pain medications. However, due to factors related to patient expectations, “Big Pharm” the increasing number of pain pills available and the need for additional physician education, many physicians have inadvertently been over-prescribing pain medications in dose amounts, frequency of administration and length of treatment. The pendulum has swung too far in the other direction. Long term use of opiates in most cases of non-cancer pain has not been shown to be advisable, which is understandable due to the terms tolerance, dependency and addiction discussed in an earlier blog. However, for intractable pain, exceptions may need to be made. 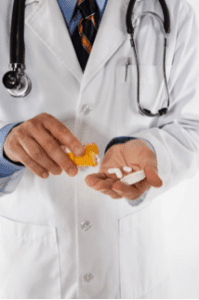 Fortunately, many states now have continuing medical education requirements that obligate physicians to take courses in appropriate opiate prescribing as a prerequisite to renewing their medical licenses. So, yes we can blame the doctors for the increase in opiate/heroin addiction, but as we explore the other nine reasons, it will be clear that this is not just a physician prescribing issue – there is plenty of blame to go around. And let’s not forget that biological, psychological and sociological aspects are major contributing factors to the disease of addiction! I hope you will stay tuned for the next episode of why we have an opiate/heroin epidemic - Patient Expectations. Until then, I hope you enjoy the following snippet from Addiction On Trial. “Dr. Tolson understood in a very philosophical manner that Jimmy’s illness, the disease of addiction, was composed of biological, psychological, and social elements. He would give lectures on a regular basis to fellow drug counselors, local school committees, police, and to anyone who would listen. Posted in Author Blog. Tags: Addiction, Dependency, Doctors, Heroin, Opiate, opiate addiction, Reasons, Treatment on June 2, 2015 by skassels.